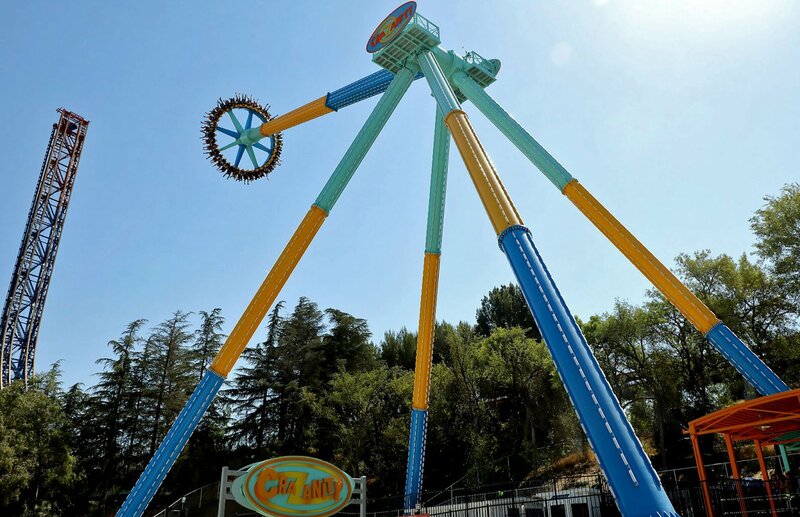 July 14, 2018 – Six Flags Magic Mountain opened CraZanity, the park’s new record breaking swinging pendulum ride. 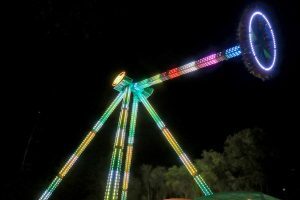 The Zamperla custom Giant Discovery attraction seats 40 riders along a giant ring-shaped gondola that swings back and forth as it rotates, eventually swinging up to 170 feet (52m) in the air at speeds of 75 mph (120 km/h), making it the tallest and fastest ride of its type in the world. CraZanity also features a fantastic light package, making it the signature attraction in the renovated Boardwalk themed area of the park. This entry was posted in News and tagged California, CraZanity, Giant Discovery, Los Angeles, Magic Mountain, Six Flags, zamperla. Bookmark the permalink.